Welcome | The Rotary Club of Bryan Texas, Inc. Since 1994, the Bryan Rotary Club Business Performance Awards have recognized the ten fastest growing firms in Brazos County annually. Nominations are accepted starting in February and the awards are presented in July. Additionally, we recognize businesses for the ANCO Lifetime Achievement Award and the Research Valley Launch Award. We are grateful for our partnerships with The Mays Business School at Texas A&M University and the B/CS Chamber of Commerce for their participation in this small business awards program. 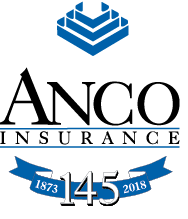 This event is made possible through the financial underwriting support of ANCO Insurance.